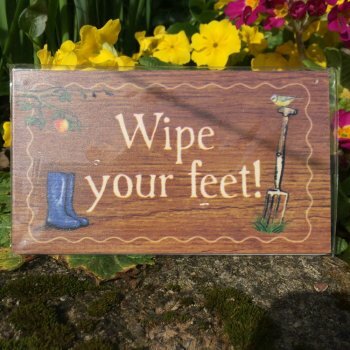 This quirky little plaque reads "Wipe Your Feet!" so would be great inside the house as well as outside. It comes with a wooden plaque and screws included so can be easily fixed to doors etc. The plaque has wellies and a garden fork as the design and would make a great gift idea.